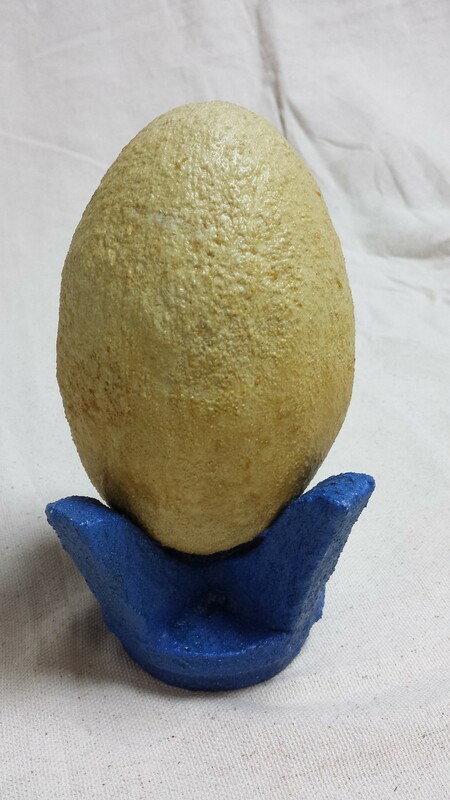 Yellow dragon egg with a seperate blue stand. 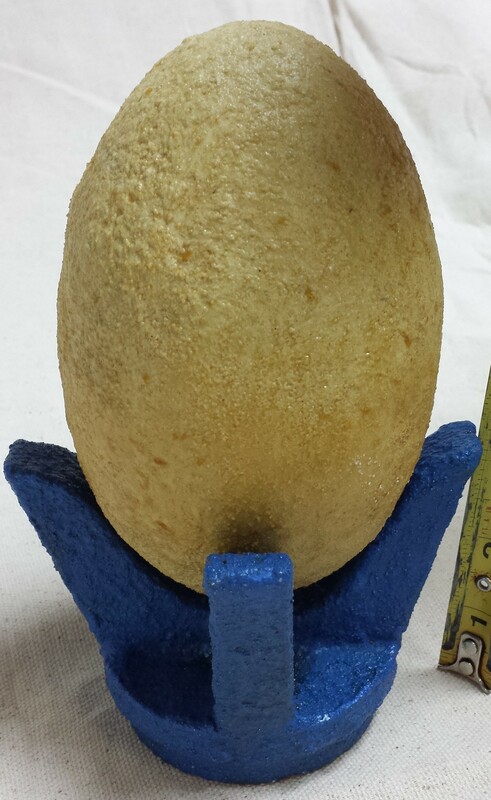 Together, it measures 8 inches tall and weighs approximately 2.5 pounds. Both items in stained concrete by Keptar. 40 hours in time to create on both pieces.